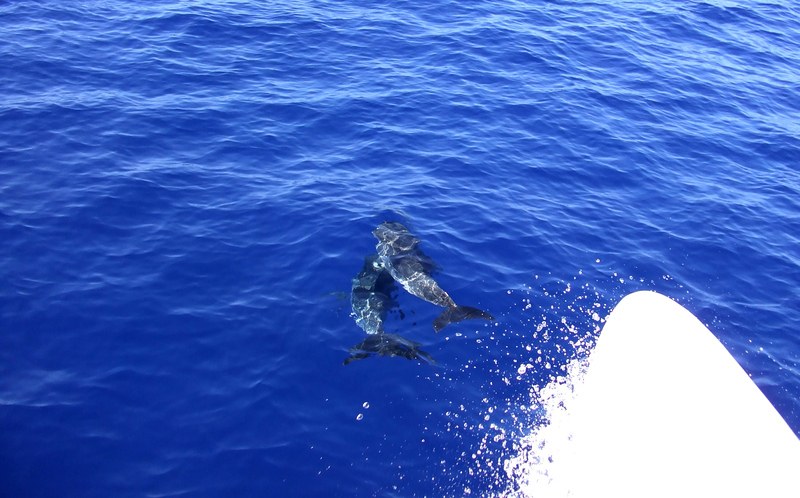 What’s In Store for Dolphin Tours in Hawaii? Swimming with dolphins is a lifelong dream for many who visit Hawaii, and local tour operators are happy to oblige, offering dolphin tours that promise customers the opportunity to interact with the majestic animals. But, could these tours actually harm the dolphins? That’s what some scientists and the National Oceanic and Atmospheric Administration (NOAA) are trying to figure out. And, if they find there’s a risk to the dolphins from human contact, the NOAA says it wants tour companies to abide by new, stricter rules. In fact, according to the Honolulu Star Advertiser, the agency could ban swimming with Hawaii spinner dolphins or prohibit people from shallow bays when the dolphins are resting. Dolphins feed at night and need to rest during the day, but some dolphin tour companies may be disturbing their rest. The newspaper reports that scientists are concerned the intense interest is harming the nocturnal animals because they need to rest after foraging for food all night. “Disturbing their resting behaviors can actually affect their long-term health and the health of the population,” Ann Garrett, the assistant regional administrator of the National Marine Fisheries Service’s protected resources division for the Pacific islands told the Honolulu Star Advertiser. Garrett said her agency has heard reports of vessels chasing down pods at high speed and corralling the dolphins into an area. Hawaii’s spinner dolphins feast on fish and small crustaceans that surface from the ocean’s depths at night. When the sun rises, they head for shallow bays to hide from tiger sharks and other predators. To the untrained eye, the dolphins appear to be awake during the day because they’re swimming. But because they sleep by resting half of their brains and keeping the other half awake to surface and breathe, they may be sleeping even when they’re maneuvering through the water. 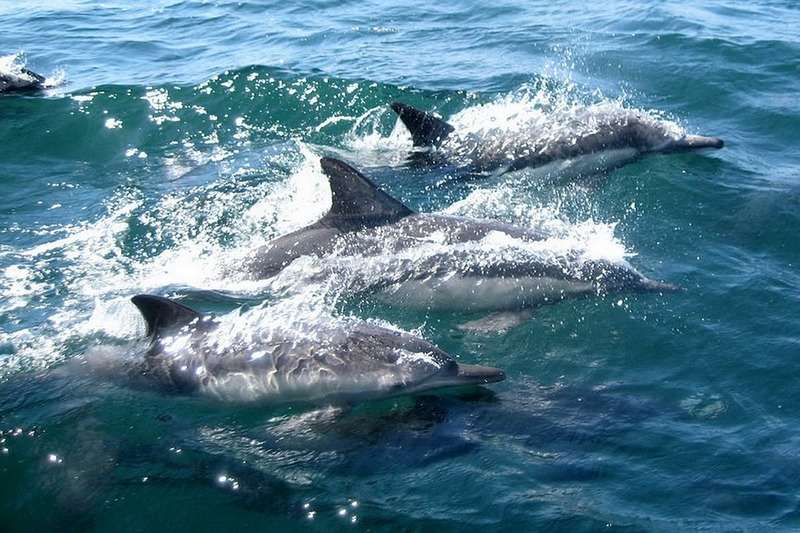 Julian Tyne, an honorary postdoctoral researcher at Australia’s Murdoch University told the Honolulu Star Advertiser that spinner dolphins off the Big Island were exposed to human interaction about 80 percent of the time over the three years he studied them from 7 a.m. to 6 p.m. The median time between exposures was just 10 minutes, he said. Tyne told the paper he doesn’t know whether this human interaction is changing dolphin behavior. But he said the dolphins may not be resting as deeply as they need, which could harm their ability to forage for food at night and their ability to reproduce. Currently, there are rules in place to protect dolphins, but at least one tour operator says only three tour companies abide by those rules. Garrett told the paper that the agency plans to propose rules in June. The regulations could affect over 200 dolphin-related businesses operating in the state as well as recreational swimmers and other ocean users. Some Kona operators follow guidelines that local tours established, which include avoiding four dolphin resting bays between 10 a.m. and 2 p.m. But Claudia Merrill, co-owner of Dolphin Discoveries in Kailua-Kona told the Honolulu Star Advertiser that only three of the 12 Kona coast tour operators she knows of follow the guidelines. For now, scientists are still searching for answers. But, visitors should only patronize companies that follow the guidelines established by local tours. One way to find out is to make sure you book your tour through a reputable tour agency, like Hawaii Aloha Travel, which also offers tours for whale watching and excursions for shark adventures. Bottom line? If you’re hoping to swim with the dolphins in Hawaii anytime after June, do your research and make sure you’re informed about any new rules.